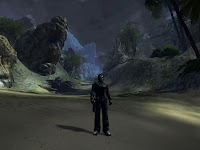 Earthrise is a post apocalyptic science fiction MMORPG set in the distant future. In the aftermath of the Third World War, mankind has managed to survive and build a new society: the prosperous city of Sal Vitas. Cloning, nanotechnology and quantum engineering are part of a new reality. Thanks to these technological advances, the human species has become immortal; each individual’s consciousness is stored in a data vault, ready to be uploaded into a cloned body as necessary. New energy sources have been discovered. There is a unified government that takes good care of those citizens who abide by its strict laws. Paradise, it appears, might really have come to Earth, and the people have embraced it. But not everything is as perfect as it appears. By exercising full control over the cloning process, Sal Vitas' government decides who will live and who will not, playing the role of God on Earth. Insurgent forces have accused the city's rulers of crimes against humanity. Armed factions fight for resources and power within the new system. And from the waves of discontent, a rebellion has fomented and formed a shadow government: Noir. Featuring a unique skill-based advancement system and player-driven economy, as well as extensive, meaningful player-vs.-player combat, Earthrise gives you innumerable choices to forge your destiny. Whether you're a noble soldier in the raging conflict between the Utopia and the rebellion, a criminal hiding from the law or a world-renowned engineer whose power extends into intricate trade and politics, your actions will echo throughout the game world. * Highly customizable characters with over 100 different skills, abilities, and tactics. No artificial "class" restrictions get in the way of making the character you want. * Fast-paced action combat featuring dynamic targeting, customizable power armor, huge mechanized exoskeletons, and hundreds of high-tech weapons. * Sophisticated Player versus Player (PvP) mechanics that let you fight for the established order, join the revolutionary underground, or carve your own bloody path as an independent criminal. * Territorial conquest and defense that matters. In your domain, you create your own rules – or let anarchy reign. * Character progression that keeps you advancing in your career even when you’re not logged in. * An advanced market-based economy with in-game supply and demand based on player activities. * Deep crafting mechanics that let you design and manufacture unique items from customizable blueprints and raw resources. Bulgarian developer Masthead Studios and publisher Iceberg Interactive announced the official launch of Earthrise, a post-apocalyptic MMORPG that is somewhat under the radar but not lacking potential. Masthead Studios announced the release date for their futuristic MMORPG Earthrise. 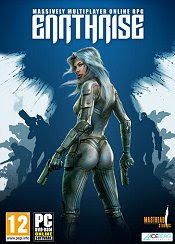 This game will launch digitally on February 4, 2011. Earthrise has been delayed for Q3 2010, but the good news is that now the developers have more time to polish the game and hand out details on this action MMO. 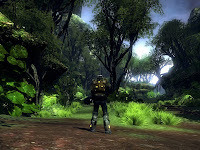 Official word from Masthead Studios revealed that their sci-fi MMORPG Earthrise has been delayed to Q3 2010. 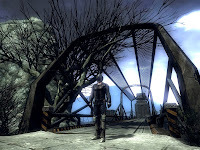 The previous announcement of a Q2 2010 release has since been altered. Earthrise was scheduled for late 2009, but it appears that developers Masthead Studios won't be able to maintain their prediction.